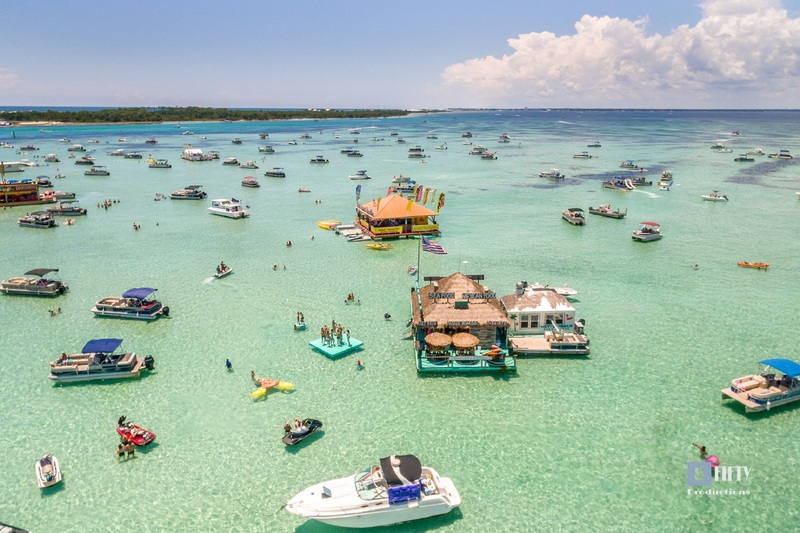 Experience the magic of Destin in the gorgeous home, Southern Style. This stunning vacation home features five bedrooms spread across three floors of luxurious space, and FREE 6 seater golf cart included! It's perfect for a family trip to the Gulf Coast or a romantic getaway. Located in the gated community of Destiny East, this home offers the benefits of a fun vacation home along with all of the amenities of living in a highly desirable neighborhood. Avoid the crowds and spend your next vacation unwinding in the quiet ambiance of this Destin home. Located just steps away from a beautiful lake, you can have a picnic by the water or choose to walk or ride bikes down to the pedestrian path that leads to the gorgeous beaches. Stroll down to the Gulf of Mexico and lounge in the sugar white sands as the sun sets over the horizon. If a relaxing beach vacation is what you are looking for, reserve Southern Style today. This vacation home is also pet-friendly with owner approval, so for a fee, you can bring along your favorite four-legged friend! As you enter this home, you are greeted with an impressive foyer that sets a tone of sophistication that flows throughout the home. The first floor offers two master suites and a bunk room with four twin size bunks and a full trundle. In the private back yard, you can spend your days enjoying a sparkling in ground pool with a waterfall feature and a private grill. The pool can be heated for an additional fee, so you can enjoy it no matter what the season. On the second floor, you will find an elegantly decorated living room, dining room, and full gourmet kitchen. A full wrap around balcony offers breathtaking views and is a great place to take in the fresh air or enjoy a meal. The third floor features a master suite with a balcony, an adjoined master bathroom with a tub and walk-in shower, and an attached room with two twin beds, perfect for additional guests or children. 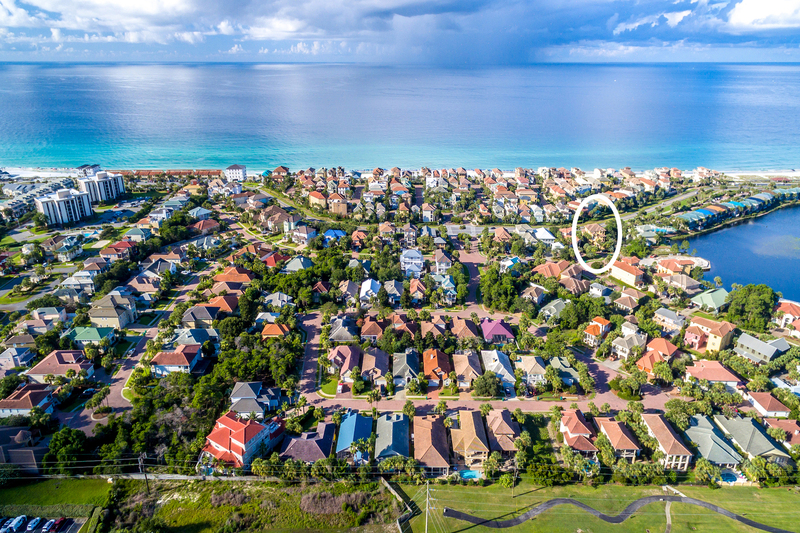 There is plenty of parking, so leave your car behind and explore Destin in a golf cart, which comes with this home! This is just one of the many perks that come with this vacation home. 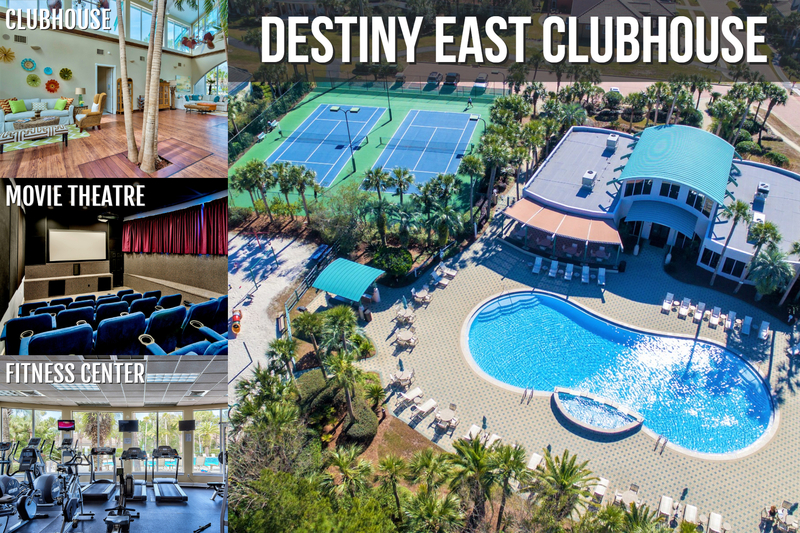 Destiny East is an exclusive gated community that offers several amenities including two neighborhood pools, hot tub, fitness center, clubhouse with movie theater, tennis, basketball courts, BBQ area with outdoor kitchen, walking trails, & playground for the kids! The neighborhood is located on pedestrian friendly Scenic 98 and golf cart friendly. So you can walk down to the beach to catch a sunset or take a relaxing bike ride. There is an extra golf cart and bicycles, located in the garage of this home, that can be rented weekly. Based on availability. "Hands down the best place that we have stayed in Destin! The furnishings are very well done and it was super easy to make it our home for the week. My favorite spot to begin and end the day was on one of the covered wrap around porches (there is one on each floor). The kitchen is stocked with amenities for cooking and grilling on the deck or the street legal golf cart that is provided makes the short trip to local restaurants more fun. The golf cart also makes evening serenity trips to the beach and daytime sun ones super easy. There is a large capacity washer/dryer when you get back to keep all of your swim suits and towels clean for the next day. My kids loved having a pool at the house as well as visiting the larger one and basketball court at the clubhouse (they also have a nice workout room, tennis courts and a playground). We will be staying here again and I would definitely recommend this house for a stress free family vacation." "We had a great family vacation in this beautiful home. It was comfy and homey. The pool was better than expected. Even though small, the kids had a great time swimming in the evening. Is it a little off the beach but the golf cart made that simple! Would definitely stay here again. No complaints. " "The house was clean and everything was orderly. The only problem we had was we kept loosing the wifi. A maintenance tech, who had stopped by to make measurements suggested we use the d-link rather then the wifi. This worked much better. The area around Destin was great, plenty of places to eat, all types of menu's. The beach was only a few minutes walk and well worth going to. The neighbors (residents) either made you feel welcomed or left you to yourself. 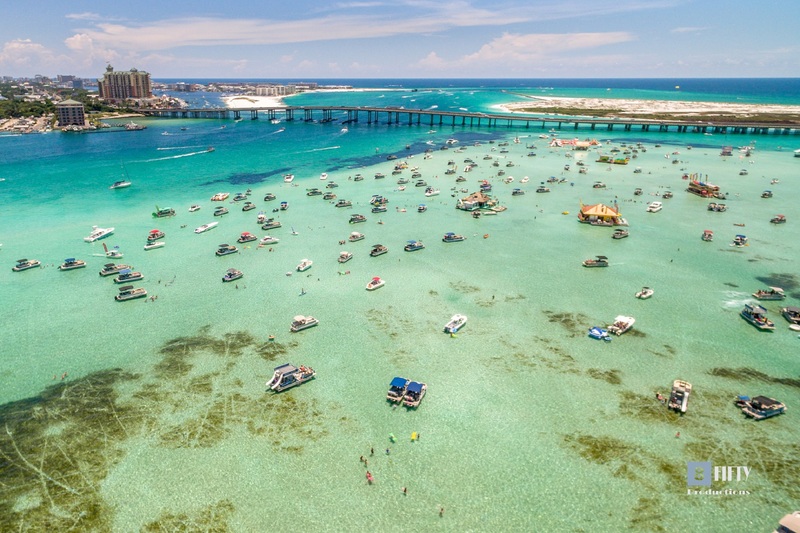 Without question we would consider spending time again in Destin. For us I think we would look for a house with a few less stairs as were both in our very late 60's. " "Thank you for your feedback. We are happy to hear you enjoyed the home and that our maintenance staff took good care of you. Hope to see you again. Destin Palms Management "
"Southern Style is a gorgeous house. The neighborhood of Destiny East is very nice and convenient. The golf cart was definitely a plus and a key factor with us deciding on Southern Style. However the place could use some TLC. We were going to host a cook out but the grill did not ignite and there was not a lighter to be found in the place. There were 10 light bulbs out in the house upon our arrival but maintenance responded promptly and they were replaced. The stove top for cooking was in poor condition. It would be a plus for instructions to be in the manual on how to operate the cable and television so not to get the remotes confused." "Thank you for your feedback. We have passed on your observation and was glad to hear that maintenance responded promptly to take care of all your requests. Hope you will come see us again. Destin Palms Management "
"family loved the home plan on returning To bad tropical storm Cindy put a damper on things but this is a great home to be in "
"Thank you for the feedback. We hope you will return when we have better weather. September and October are good months to come back and enjoy the beaches as it is still quite warm. Destin Palms Management"
"Beautiful home in an excellent location near a beautiful beach." "My family had a wonderful stay at this beautiful home! The property was great & we had everything we needed to accommodate our entire family. It was close to the beach & came with a complimentary golf cart to ride around in. This home was just as lovely in person as it was in the pictures. My family and I stayed here Christmas weekend 2016, & we created life long memories that we will cherish forever! The staff were professional & did a great job of staying in contact with us even though it was a holiday weekend. We would definitely choose this property again! " "Our family had a great experience at Southern Style. Grandchildren really enjoyed the backyard pool every day. Both community pools were very close and also provided lots of entertainment. The house was perfect for the three families. Golf cart was used for trips to/from the beach; however, it was also within a short walking distance. Kitchen appliances showed a lot of wear but were serviceable. There were plenty of plates, serving ware,and dishes but matched pots/lids were problematic. Management went above and beyond in providing quick responses to all our questions. I would recommend this property." "Thank you for taking the time to review your stay with us at this fantastic property. We're so excited to hear you enjoyed your stay, and appreciate your feedback. We hope to have you back to stay with us again in the near future! Have a great day! -Destin Palms Management"
"While the weather is always mixed this time of year we enjoyed our stay at Souther Style. Plenty of room. Heated pool and golf cart was highlight of the trip. You take the golf cart to the grocery, shopping, and the beach! Very close to the beach. Nice neighborhood. Very responsive management company. " "Thank you so much for your feedback! We only wish that you had a full week of sunshine :) We are glad that you enjoyed the home and the pool and golf cart. We hope that you will come back to visit us again in the future, and hopefully the weather will be on your side :) ~ Destin Palms Management"
"We really enjoyed staying in Southern Style. Beautiful home, great location!" "We love it too, and are so glad that we got to share it with you! We hope that you will return in the future :) ~ Destin Palms Management"
"Everything about the house was great. As a rental I couldn't ask for more. As a worker in the service industry I was very thankful for the availability both before and during our stay of the staff. They answered questions and worked with our schedule and everything! If i had to say something negative it would be about the kitchen but I'm a chef so I pick apart my own kitchen everyday! I would and have already recommended this company. Mona was great btw!" "Thank you for your feedback! We are so glad that you enjoyed your stay, and that we were able to accommodate your needs. Our inspector mentioned to us that you left the home in wonderful condition, and we wanted to thank you for that and tell you that it was much appreciated. Mona is great ;) We will let her know you think so too! ~ Destin Palms Management"
"we loved our stay. The staff is real nice and our stay was comfortable. It has a nice kitchen and grill area and 2 wrap around porches which was nice. The warm pool was really nice and everyone had a good time even in the cold weather in December! Would recommend this place for large families. Golf cart is also included with the rental witch is a bonus." "The house is exceptional. Provided my family a very relaxing vacation. Very close to the beach and many other activities. The pool, basically an over-sized hot tub, is perfect for smaller children. " "Simply beautiful! This three story home is beautifully appointed, has all the amenities and more. Our vacation consisted of four adults who all enjoyed the decks off each of the three floors. The outdoor grill was used mostly for lunches and worked perfectly. The gated community was well landscaped, maintained and patrolled. The community center pool facility featured a very large pool and the three rows of bench seating of the provided golf cart made the trips to the center very easy. We appreciated the owners acceptance of our pets, but we were disappointed to learn the city of Destin forbids our pets on the ANY time. However, we solved that by driving 30 miles east to Panama Beach where there is a pet friendly beach. To the association members we understood and appreciated the necessity for all the rules and regulations. That said...'the do not move the umbrellas at the community pool was way beyond my level of prevailing common sense'. Oh by the way the weather was perfect and the pool off the back deck was used was really enjoyed. I would certainly recommend your home but, would suggest families with very young children and adults who had trouble with steps might want to consider the three main and bedroom levels." "Southern Style is magnificent, beautifully decorated with all of the best amenities including a beautiful private pool with a waterfall! Each floor has balconies with patio furniture so you can sip coffee while watching the bicycles and joggers go by. The layout of the home is perfect for 2 families. The home has really nice, comfortable beds and the best part....a huge utility room with luxury washer and dryers so you can wash your beach towels and swim suits each day. It was super close to the beach and we used the 6 passenger golf cart daily and parked under a covered patio just for golf carts at the Crab Trap. Umbrella's and Chairs were set up each morning for us and Miramar Beach is truly the most beautiful beach along 30A. There was plenty of room on the beach and a lot of nice families were there too. 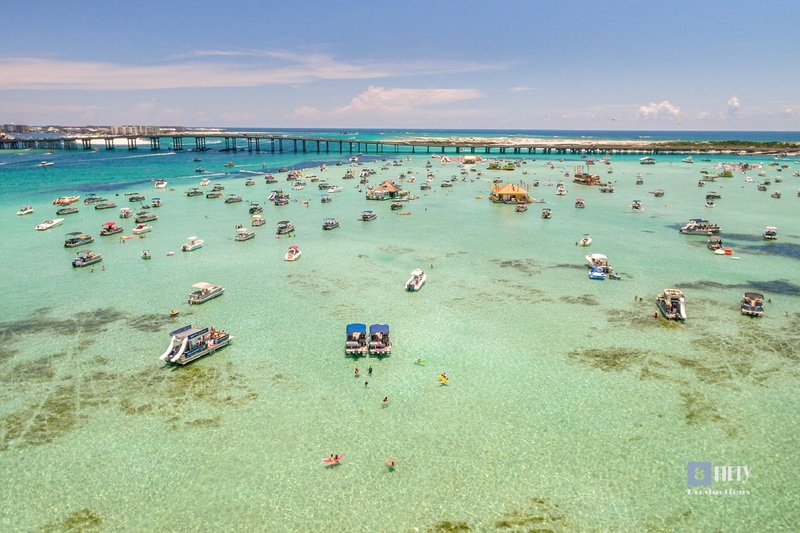 We have been coming to Destin for years and will rent Southern Style again! The management company provided an app for us that provided the weather, beach conditions, check in and out options, and even suggested restaurants. It was a dream come true." "Wow! Thank you so much for your amazingly kind words! We are absolutely thrilled that you had such a great time! We hope that you will give us a call when you are ready for another wonderful vacation!!" "Beautiful house in great location. Large golf cart a plus though would be even better if it had roof rack to carry beach stuff. House was very clean but just a little wanting for kitchen supplies/basics. It looked like someone cleaned out even basics like salt/pepper which in most rentals spices are left over from previous families..also dishes and pots/pans for such a large house could definitely use more so don't have to run dishwasher 2-3 times a day. " "Thank you for your comments. We will definitely add to the kitchen supplies so that when you return, you and your guests will have plenty of plateware. Please feel free to share any other feedback, and we will look forward to working with you upon your return." "This home was almost perfect for my family for our annual beach vacation. The main living area was extremely comfortable for all the kids and adults and plenty of space for meals. The kids enjoyed the pool however, it was a little on the small side but a great addition to have in a rental. The kitchen was well equip with a grill space right off on one of the many balconies. The beach is only a very short walk away but having a golf cart which seat eight comfortably was a great plus"
"We are so glad that you enjoyed the beautiful home! We hope you return soon to make more memories at the beach! Thank you. Destin Palms Management Team "
"Stayed 4th of July week with family and friends. Home was clean and as advertised. Great location in center of old 98 and close to beach. We had a great time and enjoyed the home very much. The golf cart is such an added bonus for the beach and getting around in general. " "Thank you for staying with us during your Family's Holiday vacation! We are thrilled that you were able to relax and enjoy it. We hope to see you in the near future for making more beach family memories. 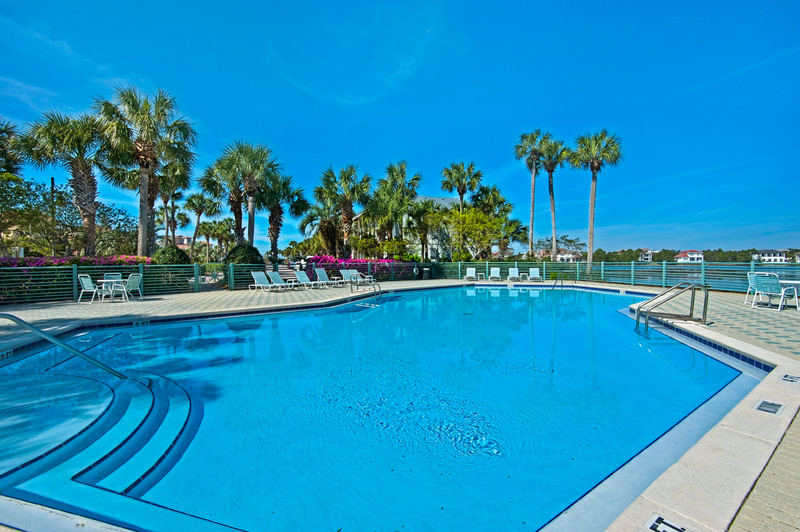 Sincerely, Destin Palms Management Team "
"Very nice setup for large family or two. Simple walk to beach." "Thank you for taking the time to review your stay. We really appreciate it and we are glad you enjoyed your stay in Southern Style. - Destin Palms Vacations Mgt"